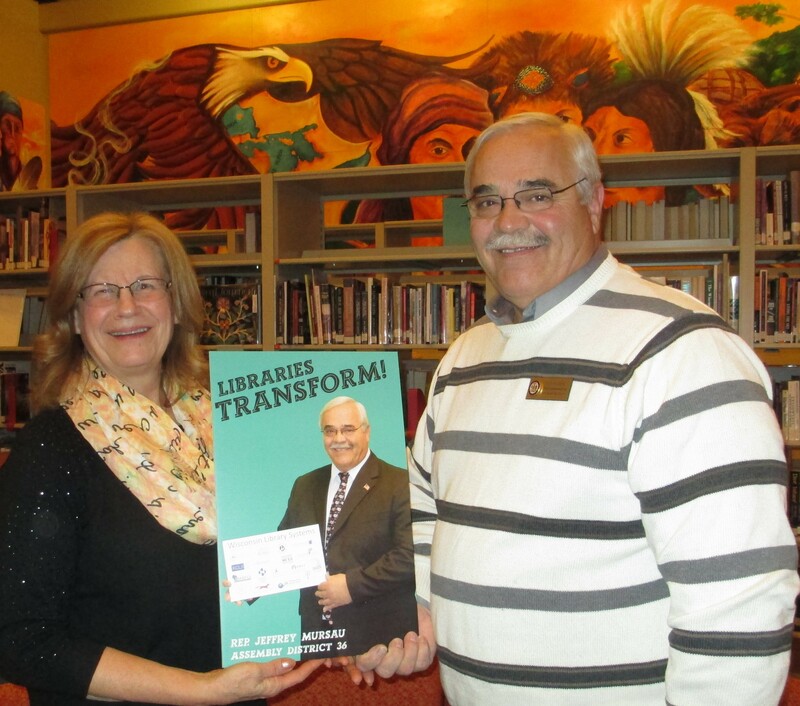 Representative Jeff Mursau was presented with a Libraries Transform! 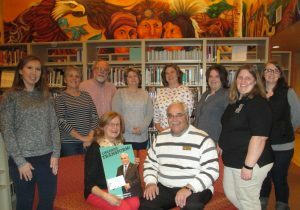 poster on January 23, 2017 at a meeting of the Forest County Library Board (FCLB) hosted by the Forest County Potawatomi Cultural Center Museum and Library. FCLB members thanked Representative Mursau for being a friend to Wisconsin Libraries. 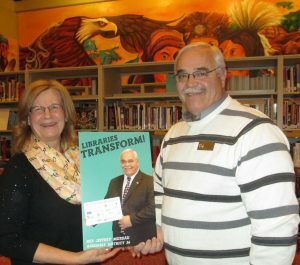 During the last legislative session, he supported state library aids through the budget process, as well as three library related bills signed into law. Mursau was lead author for Tribal College and County Joint Libraries Act 306 allowing a tribal college-county joint library to participate in a public library system. 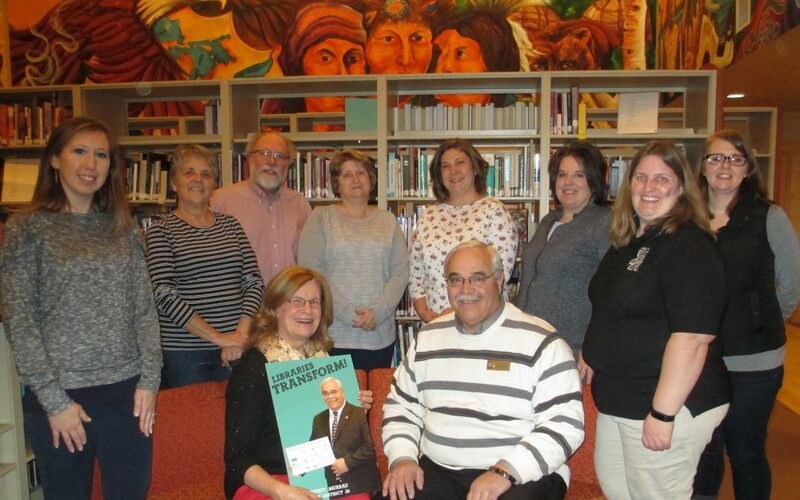 Crandon Public Library, Wabeno Public Library, and Edith Evans Community Library in Laona are among 25 collaborating Wisconsin Valley Library System Libraries. The Forest County Potawatomi Library and Museum is a tribally owned public library. All four libraries transform their communities! Pictured standing from left: Mary Lemaster, Linda Harter, Pete Davison, Wabeno Public Library Director Cindy Lemerande, Evans Community Library (Laona) Director Felicia Albrecht, Crandon Public Library Director Michelle Gobert, Christy Janczewski, Forest County Potawatomi Librarian Samantha Smith. Seated from left: FCLB President Carol Bartlein, 36th District Assembly Representative Jeff Mursau.